Very simple to edit, sharp professional design. 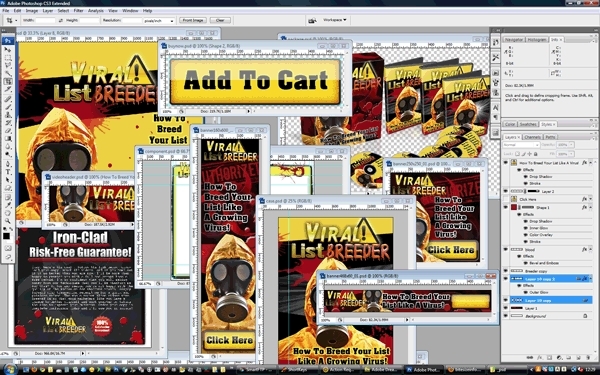 Viral List Breeder Component box PSD graphics - the component box stores your module, or in-depth information about your product. Use it to redirect your visitor's eyes to the real meat of your product. 1. You can re-face your existing product thats not selling so well! 2. You can re-face your old PLR product! 3. You can create a new squeeze page to collect leads! 4. You can create a review-style website that promotes other peoples products! 6. You can sell them as they are! 7. You can use them as membership content to keep your members happy!